PROJECT DESCRIPTION: Also a complete rebuild, similar to the Yorktown Lower Level (so some of the following description is similar if not sometimes identical) but on a greater scale, with more extensive in mechanicals replacement, relocation or addition: A new boiler was installed in a new location along with a new water heater, and the entire home was also retrofit with a high velocity air conditioning system. 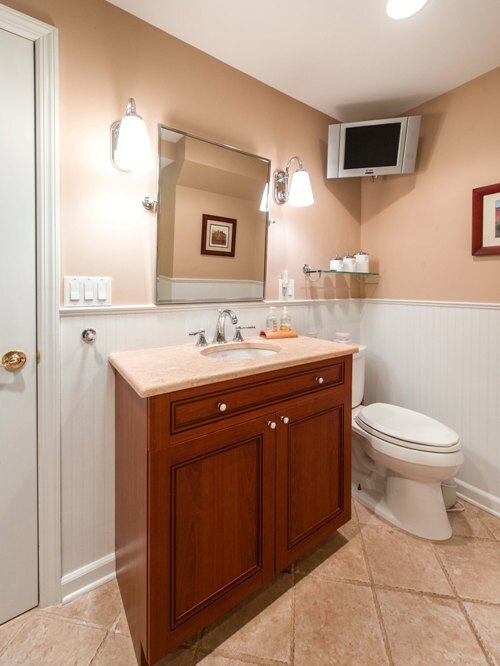 The electric panel was upgraded, most of the plumbing waste and water lines were replaced and/or relocated... In short, you could say most if not all of the mechanicals are now new. This existing finished basement was not only completely stripped to the bare foundations, but the entire (actually about 90%) concrete floor slab was sawed, jack hammered and discarded. We then removed approximately one foot of dirt and hauled it away, the remaining dirt was then leveled, fine gravel was brought in, leveled and then mechanically compacted. A vapor barrier was installed, followed with a layer of rigid insulation board, wire lath and finally PEX tubing for our hydronic radiant heat floor. After the tubing was pressurized with air and tested for leaks, it was finally then that we were able to pour our new concrete floor slab. When all was said and done, over 7" of ceiling height was obtained, no small feast. Now that we are done with the floor, it is now time to "mess" with the ceiling. Temporary support was erected, and part of the existing main beam holding the floor joists was removed. The joists ends were sawed off to create a "pocket" for the new, now recessed engineered beam. There is no beams or any columns anywhere in this basement, at least not in sight anyway. But there is still something reminding us that we are in a basement: There is already a few windows and two door leading to the backyard, but it is poorly located. 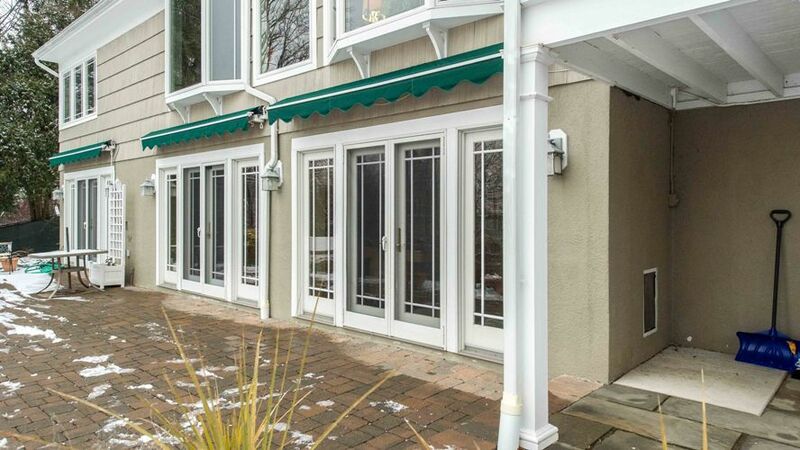 Worse, it is absolutely "wasting" the magnificent view, a southern exposure with a perfect view of the Kensico reservoir, only to be preceded with a beautiful in ground, kidney shape swimming pool surrounded by impeccable landscaping. So temporary support was erected again, our concrete saws were brought in again and three large opening -over 10' wide each- were created in the midst of the thick concrete block foundation, basically removing 75 - 80% of the entire southern wall! 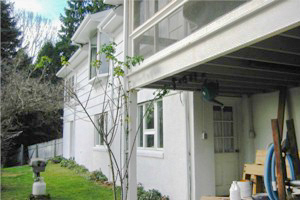 Engineered beams were erected, and large French doors were then installed, bringing "the outside inside". 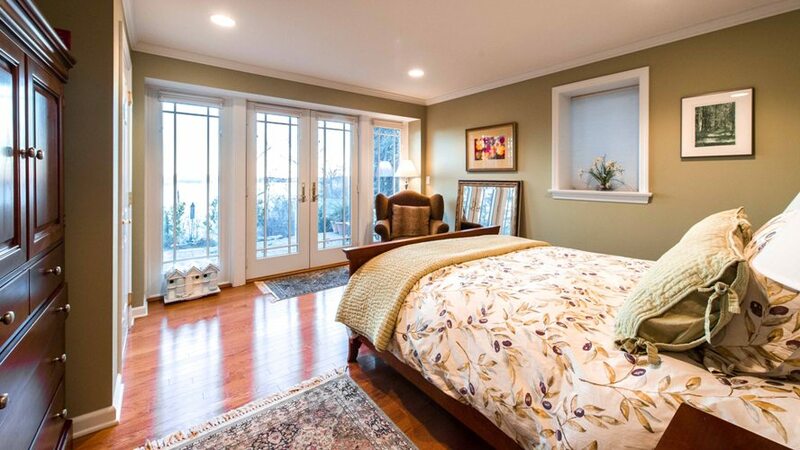 In fact, in the midst of the winter, due to the relatively low sun in the sky, you almost need to wear shades, whether you are standing in the main room or relaxing in the guest bedroom! 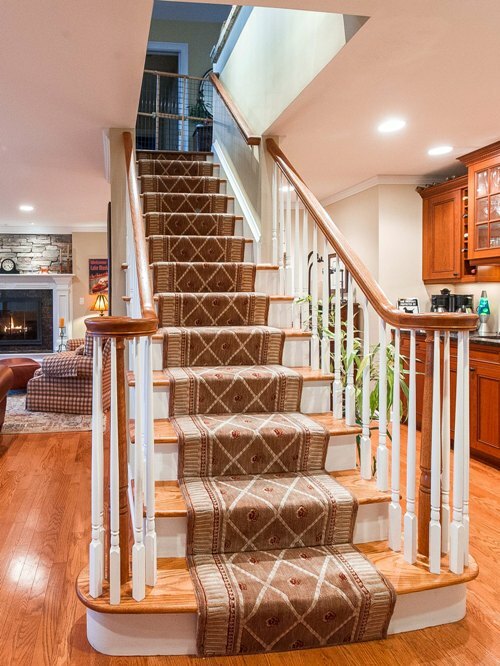 Scope of work also includes Mirage laminated oak floors; new, not so typical stairs found in basements, with curved oak treads and balusters. Our client insist on them, and we can now see why. 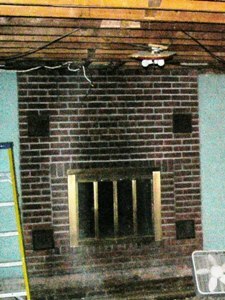 The fireplace was completely revamped with a new hearth, mantel, doors, and stones above the mantel. 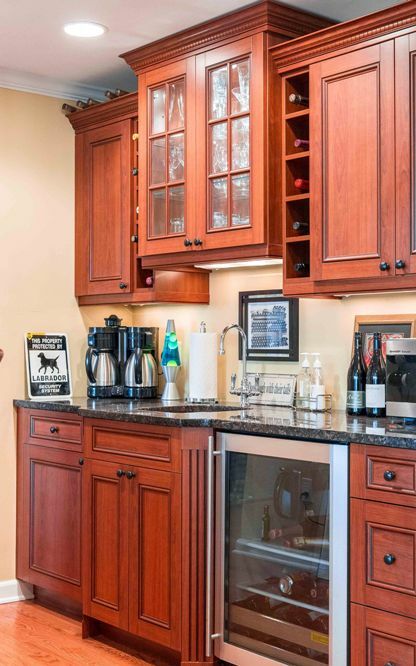 A wet bar, or perhaps a better name would be a high end kitchenette now keeps everyone refreshed. 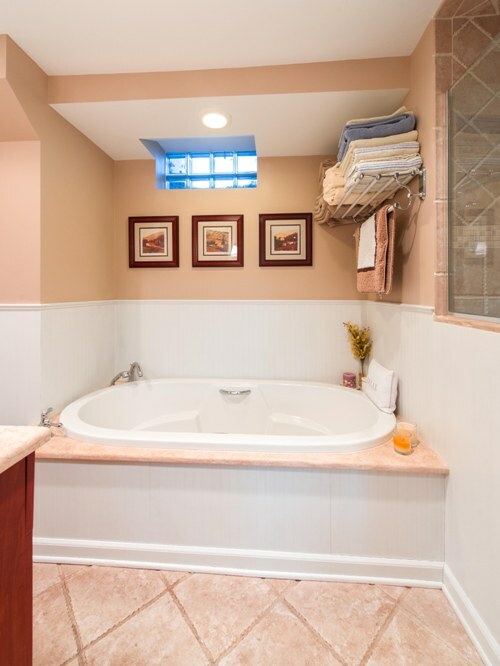 The TV equipped bathroom now includes a large custom shower and a separate tub. A bright, efficient laundry room/art studio is also part of this "extreme basement". CLIENT COMMENTS: "Wow .... what a great team we make! The "never to be called basement again" lower level is even better than I imagined ... and I had very high expectations. There are a number of things I could go on about here, but it all comes down to a couple of things. 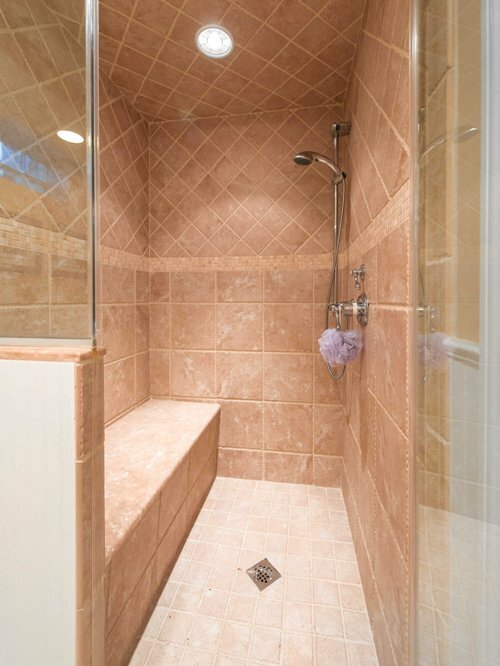 Your team - all of the Absolute Remodeling crew were great to work with, and are clearly the best at what they do. 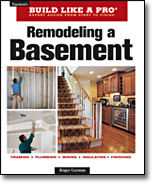 The quality of work is exceptional, and the attention to detail was one of the important things that really helped transform the basement into the lower level. 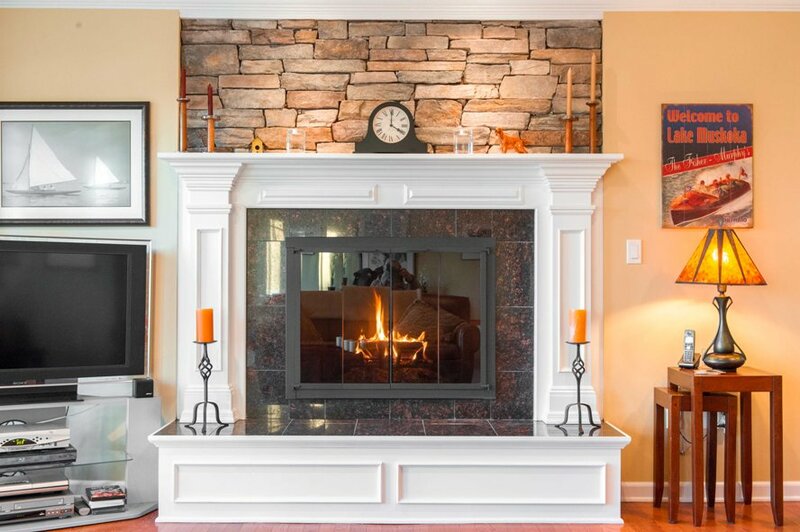 You accommodated my many last minute requests, like redoing the fireplace with a new mantle and hearth, and then made it better by recommending the stone above the mantle ... that stone sets the whole tone for the room and is one of my very favorite features. A very heartfelt thank-you to you and your team for a job better than well done."